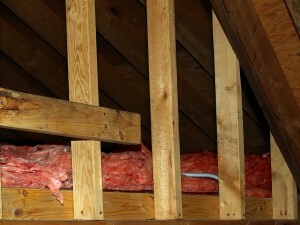 When the time is right for new attic insulation in your Leander, TX, home, turn to the insulation and home improvement experts that homeowners have trusted since 1972: 31-W Insulation. We can help assess your needs, make educated recommendations, and expertly install new insulation in your home, helping your home become more comfortable, allowing you to reduce your energy consumption, and reduce your carbon footprint at the same time. Do you constantly have to adjust your thermostat in an attempt to keep temperatures in your Leander home constant? If you answered yes to any of these questions, you may benefit from our expertise. You can be sure that when you choose us for attic insulation services you can be confident that our experts will provide you with exceptional installation, and will work hard to ensure that you are completely satisfied with our services. For more information about the advantages that come with having your home properly insulated, and about the superior services you will receive when you choose 31-W Insulation to install attic insulation in your Leander, Texas, home, contact us today. We will be happy to answer your questions and come to your house for a free estimate of our services. We are proud to offer homeowners in The Lone Star State outstanding insulation and home improvement services.